As companies begin strategizing for the new year, managers start to prepare next year’s budgets. It might be tempting to skimp on your background screening program, but—in addition to protecting both your company and your clients—a comprehensive screening program saves your company money in the long run. 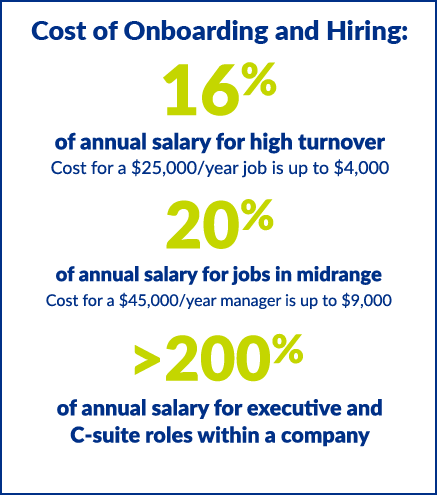 Industries with high turnover rates spend an exorbitant amount of money on the hiring and onboarding processes. Businesses who look for more permanent hires lay out an even larger investment. To deploy best practices in your hiring and onboarding program, maintain a thorough background screening and drug testing program. Background screening is a small price to pay compared to the expense of alcohol and drug abuse in the workplace and the potentially catastrophic costs of fraud. Companies make an investment every time they onboard a new hire; background checks and drug screening ensure those investments are worthwhile in the end. Keep this in mind when planning your budget, and lay the foundation of a vetted, stable workforce to achieve your goals in 2018. To partner with an experienced provider, contact InfoMart.